Unlike the other handcrafted model boats on our website, these model ships are designed for recreation. Float them in the tub, swimming pool, or nearby pond, these beautiful model sailboats will keep your loved ones entertained for hours and they are available in a large selection of vibrant colors. 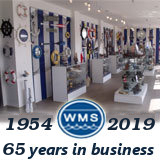 Handcrafted model ships offers the largest selection of floating model sailboats available anywhere.